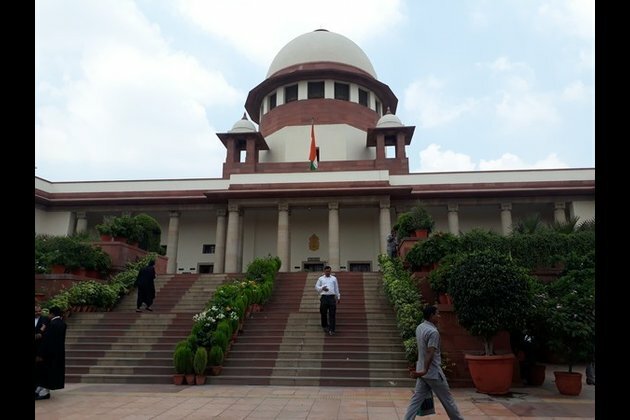 New Delhi (India), Jan 22 (ANI): A plea was filed in the Supreme Court on Tuesday challenging the 10 per cent reservation to the economically poor general category candidates in jobs and educational institutions. The plea was filed by activist Tehseen Poonawala challenging the 124th Constitutional amendment saying it was against the basic structure of the Constitution, which does not allow for any reservation based on economic criteria. The 50 per cent ceiling limit cannot be breached, stated the plea. Earlier, the apex court had said that it will hear together all the petitions which challenged the Act to provide 10 per cent reservation. One Vipin Kumar Bharatiya has also challenged the reservation Act. An organization Youth for Equality had also sought the quashing of the bill, stating that it violated the "equality code of the Constitution" as reservation on economic grounds cannot be restricted to general category. By way of the present amendments, the exclusion of the OBCs and the SCs/STs from the scope of the economic reservation essentially implies that only those who are poor from the general categories would avail the benefits of the quotas, the organisation had contended.